Growing up I loved oatmeal.. so much that to this day it still brings back memories of my grandparents and my great-grandma. I haven't really eaten it too much lately as I think it takes too long to make and... I don't really take the time in the morning. I wanted to make a post dedicated to an easy yet delicious breakfast that I have been eating a few times a week. 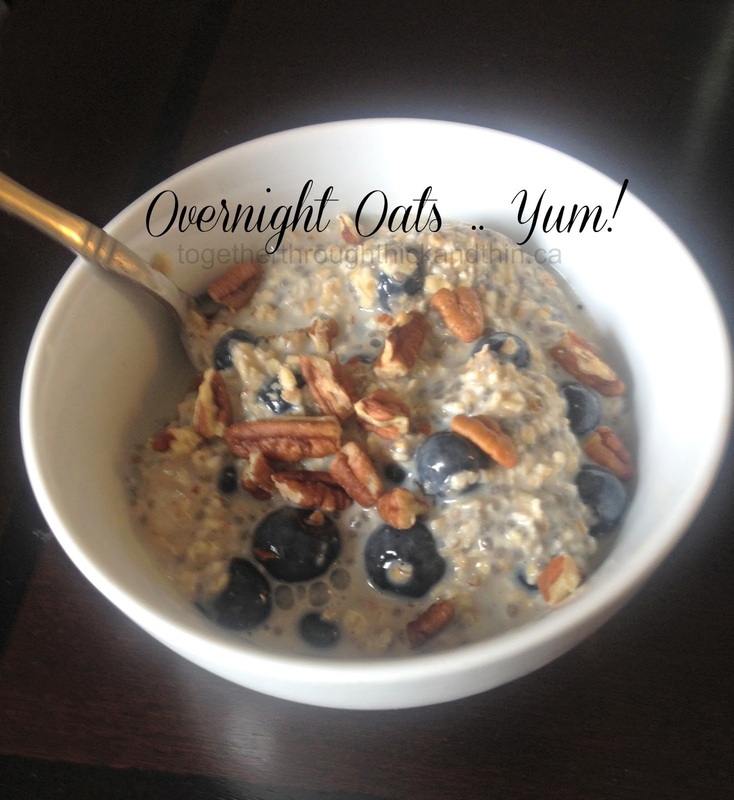 Initially, I was making the exact recipe from Skinnytaste.com called Skinny Overnight Oats in a Jar which is absolutely DELICIOUS. Though when you make something so many times you pretty much memorize the recipe and start to become creative! 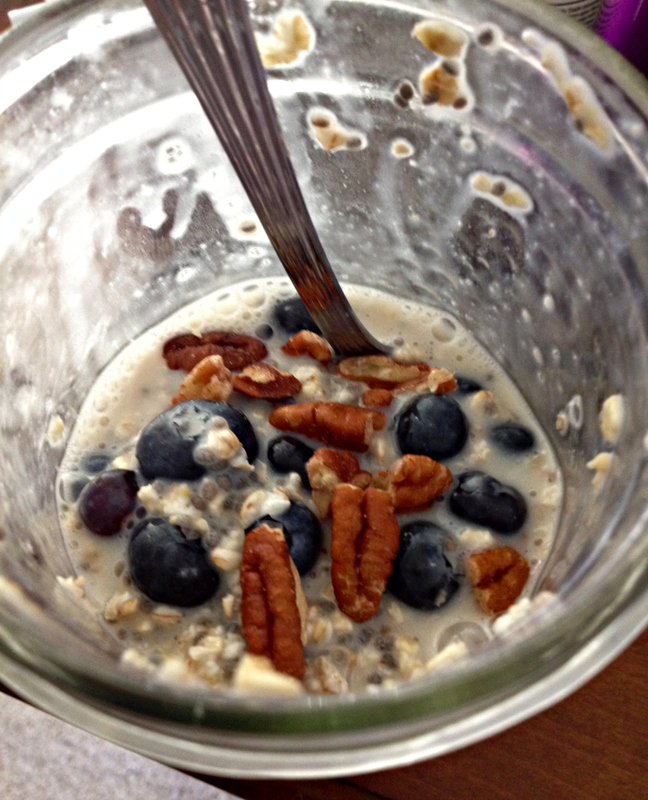 Put all ingredients (except nuts) into a mason or tupperware jar and give it a good shake! Put into refrigerator overnight and enjoy in the morning. I've made these a few days ahead of time and they've been good 3 days later. This is a must try and I highly recommend it! It's easy, delicious and takes less than a minute to put together. Have you tried another variation? If so, please share!